Moderated by Guy Platten, Secretary General of International Chamber of Shipping, speakers on the panel included: Capt. 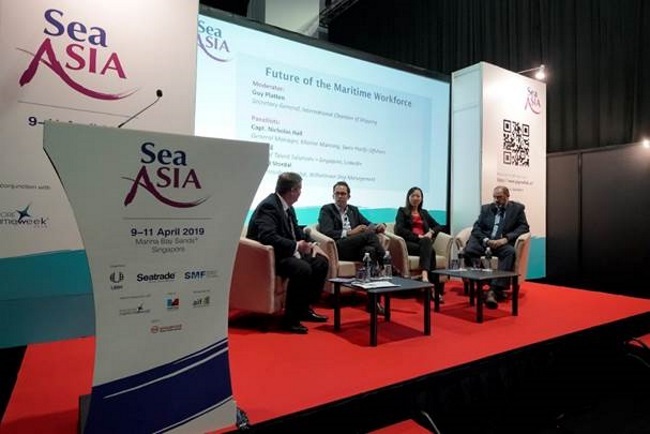 Nicholas Hall, General Manager of Marine Manning, Swire Pacific Offshore; Elsie Ng, Head of Talent Solutions – Singapore at LinkedIn; and Oyvind Stordal, Vice President Digital at Wilhelmsen Ship Management. Mr Platten kicked off the panel by highlighting the fundamental importance of the workforce as maritime organisations adapt for the future. He also spoke of the need to empower women in the industry, how the changes in crew numbers will allow for safer, more efficient operations, and the ever increasing interaction between ship and shore. The panel discussed the need to attract people with technology skills into the maritime industry and that in order to compete with other sectors, such as banks, for this talent, companies need to build their brands as attractive employers. Mr Stordal said that initiatives such as offering training and development opportunities, as well as providing a clear career development plan, are ways companies can attract talent and clearly illustrate the maritime industry’s investment in developing a dedicated and reliable workforce. Capt. Hall echoed this sentiment, noting that this is particularly important for seafarers who spend significant time at sea early in their careers, but are most often promoted to on shore roles later. The panel also recognised the need for a safe environment in the digital age, as the increasing digitisation has impacted on the health and wellbeing of the workforce. Capt. Hall pointed to the need for companies to promote teamwork and a more inclusive ship environment and highlighted the importance of focusing on well-being of seafarers. The panel talked about simple ways to do this, such as allowing internet access only in communal areas or utilising surveys to assess the ship atmosphere. The panel concluded with the recognition that while the job market looks bright, training is crucial to ensure that skills evolve alongside technology adoption. 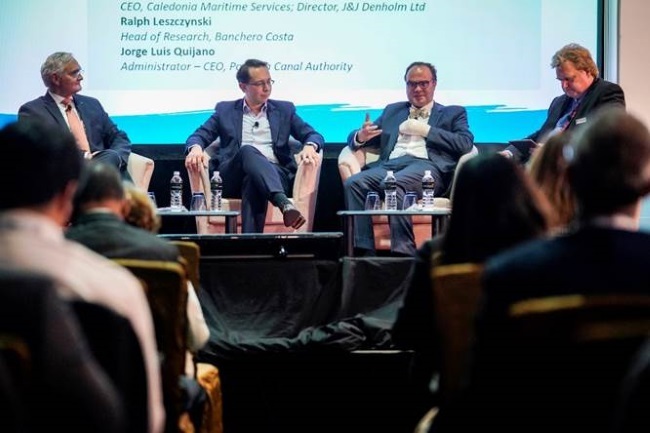 Left to right: Guy Platten, Secretary General of International Chamber of Shipping, Oyvind Stordal, Vice President Digital at Wilhelmsen Ship Management, Elsie Ng, Head of Talent Solutions – Singapore at LinkedIn, and Capt. Nicholas Hall, General Manager of Marine Manning, Swire Pacific Offshore. Will Economic Concerns Trump Improving Fundamentals? Moderated by Marcus Hand, Editor of Seatrade Maritime News, speakers on the panel included: Keith Denholm, Chief Executive Officer at Caledonia Maritime Services and Director at J&J Denholm Ltd; Ralph Leszczynski, Head of Research at Banchero Costa; and, Jorge Luis Quijano, Administrator – Chief Executive Officer of Panama Canal Authority. 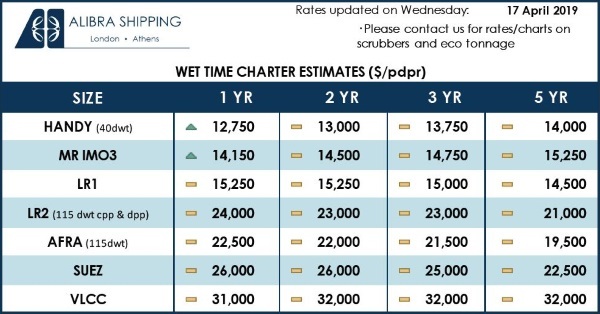 The panel provided interesting perspectives on the underlying economic fundamentals of the shipping industry, which has been greatly impacted in the last year by Black Swan events – large-scale, unexpected occurrences, such as the volatile geopolitical environment and extreme weather events. Notably, Mr Denholm pointed to key factors of disruption for the industry, from the IMO2020 target which will see a deficit of two million tonnes of gas oil and new industry players creating solutions for customers which are yet to be tested, to the Canada-China tensions following the arrest of Huawei’s CFO which has seen a decline in timber exports. Other geopolitical factors were highlighted by Mr Quijano, who pointed to protectionist policies impacting on pricing and flows, citing the US-China trade negotiations which in his view have had a larger impact than previously anticipated. 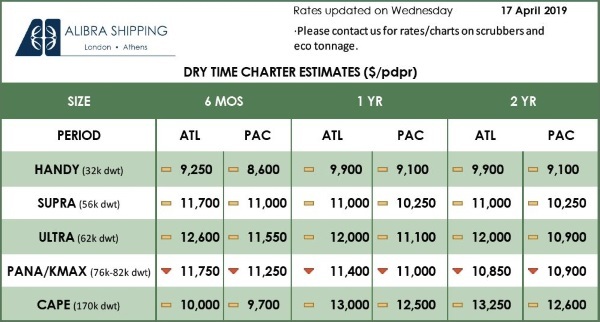 Mr Leszczynski commented on the dry bulk market which has seen the supply side less positive this year than previously anticipated due to a series of Black Swan events, and also the unfavourable outlook for the crude tanker market which is seeing an increase in demolition rates due to poor historical decision-making. Left to right: Jorge Luis Quijano, Administrator – Chief Executive Officer of Panama Canal Authority, Ralph Leszczynski, Head of Research at Banchero Costa, Keith Denholm, Chief Executive Officer at Caledonia Maritime Services and Director at J&J Denholm Ltd and Marcus Hand, Editor of Seatrade Maritime News.